Through its activities Het Nieuwe Instituut aims to increase the appreciation of the cultural and social significance of architecture, design and digital culture and to strengthen the interaction between these disciplines. In a period characterised by radical change, Het Nieuwe Instituut wants to moderate, stimulate and facilitate debate about architecture, design and digital culture through research and a public programme. The broadening and deepening of the public’s appreciation is a fundamental starting point. Het Nieuwe Instituut stands for the social and innovative value of culture. A visitor to Het Nieuwe Instituut enters, as it were, ‘the museum of the future’. In Het Nieuwe Instituut visitors are provoked and confronted with questions that are maybe not of today, but are certainly of tomorrow. In other words, Het Nieuwe Instituut is true to its name: what it shows is ‘new’ and will eventually be picked up by other national and international organisations. Het Nieuwe Instituut is unrivalled among cultural institutions, both in terms of content and organisation, in its ability to point to urgent issues and approach them in a flexible, innovative way. With the commencement of the second policy period, the programming focus is on strengthening the signature of Het Nieuwe Instituut. New formats and products will contribute to this. Not least in the way in which the building – and not only the galleries and study centre – will be shared with the outside world. 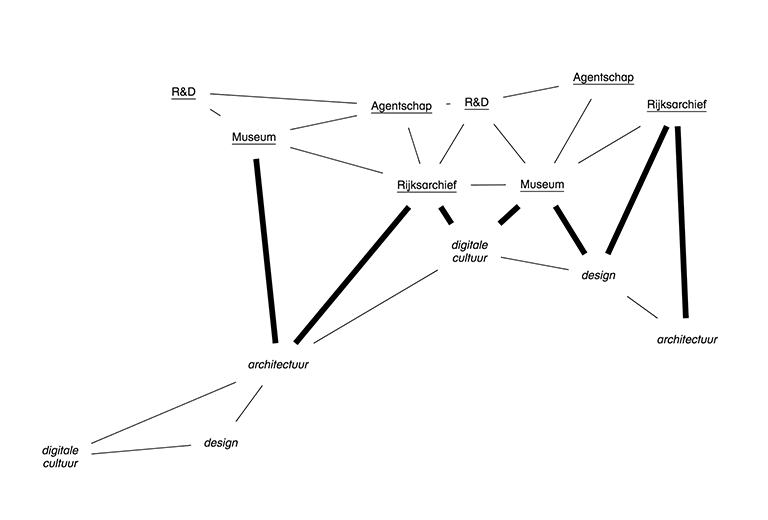 Het Nieuwe Instituut will generate new income streams while also expanding its community of users. A key underlying idea in this respect is to position the institute – with its four pillars – not as a classical museum but as an academy that can function as a booster for new knowledge through research, and a range of public activities including symposiums and exhibitions (or even a curriculum around our ecological garden).